Save on today's dental visit. With the Choice Savings Plan, you and your family get access to quality dental care at a discounted rate. See just how much you could save below. ** These fees represent the average of the assigned Careington Care Platinum Series POS fees in the Los Angeles, Orlando, Chicago and New York City metropolitan statistical areas. It's easy to use your savings plan. Simply follow these five steps and start saving today! Some product instructions may vary. Please review your membership kit for details. When you call to schedule your appointment, let the office know that you are a member of the Careington Dental Network. 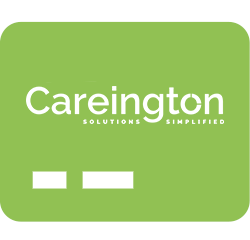 The Careington logo on the front of your card identifies the level of discount that will be applied to your bill. Pay your discounted bill at the time of service.